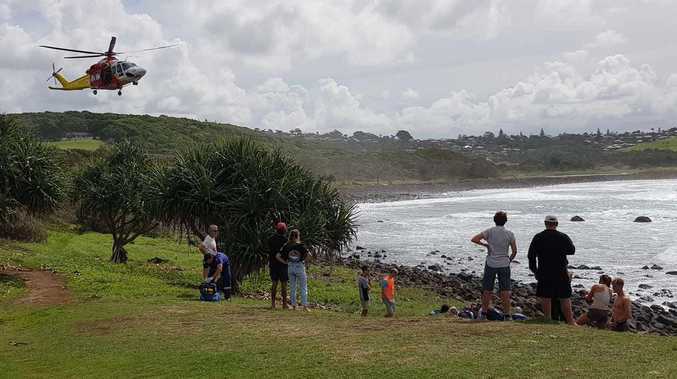 Cues for days at a new Byron Bay cafe: Owners Ben Gordon and Phil Taylor said they were absolutely blown away by the response they have received. ONE week since their official opening and the Byron Bay General Store has already made a huge splash. Queues outside the door, running down Bangalow Road, have been a common occurrence after the much anticipated store finally opened last Thursday. It is owned by Ben Gordon - the drummer in Byron-based metalcore band Parkway Drive - and Phil Taylor. They said they were absolutely blown away by the response they had received. "It's nice to see and it just shows you how great this town can be," Phil said. "It excites me personally to be a part of the community that we live in and this has become a social gathering point and that's pretty much why we did it." Ben said since the minute they opened their doors it had been non-stop busy. "I've had really good feedback from friends, family and the community at large," he said. "It has been a good three or four months of getting this place into shape and we did a lot of it ourselves, so it's been a lot of work but it is all worth it seeing people enjoy the space." Their vision was to create a great hangout for locals, while bringing back the block to its original roots. "What we've tried to create is a good, friendly atmosphere with healthy, good local food and I think we've done that," Ben said. "One of the reasons that makes this so special is because it is an historic building in Byron, it's been standing since 1947 and been a general store for the first 50 years of its existence. "It only changed to take-away in the late 90s." Having a personal affinity to Byron, Ben and Phil said it was important to them for a local to retain the business. "The main thing that made me want to open it was so many businesses in this town are getting sold and bought by non-locals, and I really think the more that locals own our businesses is how we retain the heart and true soul of this town," Ben said. "Rather than sit back and think someone else will do something, we decided to be pro-active and do it ourselves." One of the biggest things they wanted to focus on was making the shop as environmentally friendly as possible. 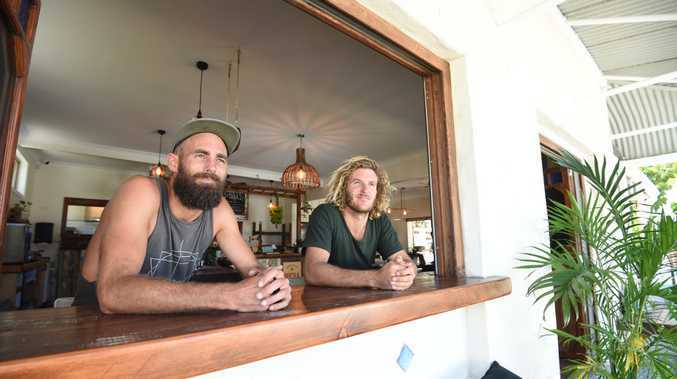 "We've got solar on the roof so we are 80% solar powered, we made this fit out from all recyclable timber, we use as little plastic as possible, and are constantly looking for ways to soften our eco footprint," Ben said. The Byron Bay General Store is open seven days a week from 6.30am to 2pm. "Keep them rolling, keep on coming, don't stop, summer has just begun," Phil said.